Gaeda or Gullati is a rice porridge which is especially prepared for breakfast. It is a comfort food. 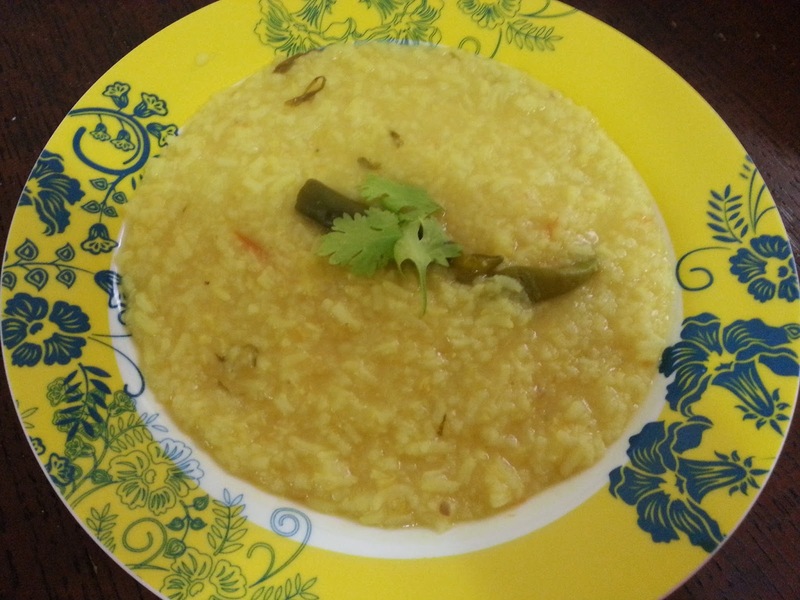 Rice and moong daal are the main ingredients just like in pongal but it tastes very different. I have been eating this since childhood and I love it. It is very easy to prepare and tastes good with stir fried potatoes or even pickle. 1. Wash and soak rice and moong daal separately. 2. In a pressure cooker or a cooking vessel heat oil or ghee. 4. Add the moong daal without any water and fry for a minute. 5. Add ginger garlic paste and fry for a minute. 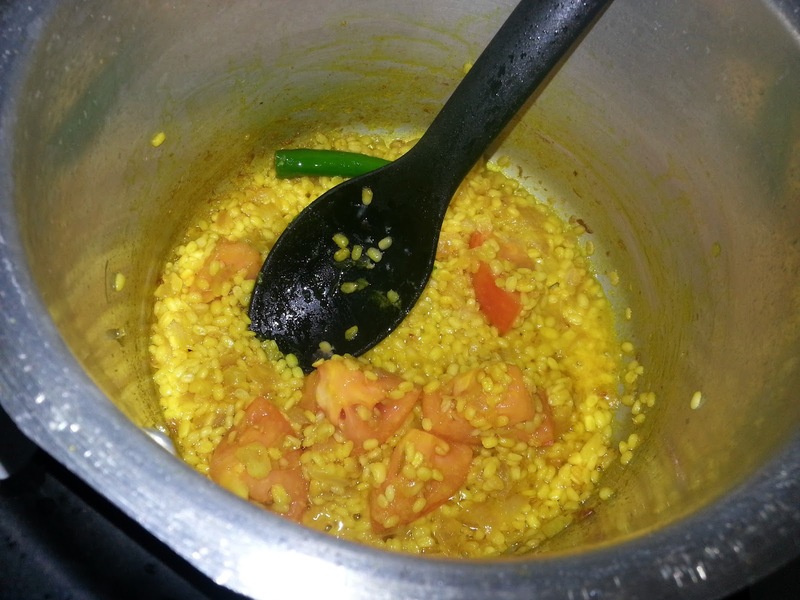 If the moong daal sticks to the base and starts to burn you can add a little water. 6. Add the tomato pieces and fry for another minute. 7. Add turmeric powder and mix. 8. Add 3 cups of water and salt to taste. Add coriander leaves. 9. Let the water come to a boil. 10. Add the rice after draining the water it was soaking in. 11. Pressure cook for 8 whistles on medium flame. If using a normal cooking vessel cover and cook till it cooks to a porridge form by adding additional water as required. 12. If using pressure cooker, open after pressure releases on its own. Add additional water if required to achieve desired consistency.